Baruch (Benedict) Spinoza (1632 – 1677) was a Sephardic Jew whose forbears had fled Catholic persecution in Portugal and settled in Amsterdam. Young Spinoza attended the local Jewish Sephardic school and studied under Rabbis Saul Morteira and Manasseh ben Israel. His early life was one of hardship and suffering. His mother Chana Deborah died when he was only six. His father, Michael followed her to the grave 12 years later and the family fortune was lost. Spinoza decided to retreat from normal life and devote himself to the study of philosophy. The Jewish community of Amsterdam did not look with favor on his new enterprise. They held his views to be anathema to normative Judaism (specifically his views on the immortality of the soul) and he was eventually excommunicated (put into herem) as a result. Subsequent to that we find Spinoza living a modest life as a lens grinder and living in a simple apartment owned by the painter Mr. Henryk Von Der Spijk. Gates surround the churchyard but they are wide open. There is no cemetery to speak of, only shrubs and grass and moss and muddy lanes amid tall trees. I find the grave much where I thought, in the back part of the yard, behind the church to the south and east, a flat stone at ground level and a vertical tombstone, weathered and unadorned. Besides announcing whose grave it is, the inscription reads Caute! which is Latin for "Be careful!". This is a chilling bit of advice considering Spinoza's remains are not really inside the tomb and that his body was stolen, no one known by whom, sometime after the burial when the corpse lay inside the church . Damasio wonders why Spinoza- who never formally converted to Christianity, was buried in a Christian cemetery. I would also add, moreover, that his excommunication by the Jewish community was motivated in large part by the concern that his ideas, were as offensive to "normative" Christians (even in liberal Holland) as they were to Jews, and it would endanger the limited freedoms that the Jews had achieved in Amsterdam (Spinoza's works also made the Index Librorum Prohibitorum [List of Prohibited Books] by the Roman Catholic Church). Why is Spinoza, who was born a Jew, buried next to this powerful Protestant church? The answer is as complicated as anything else having to do with Spinoza. He is buried here, perhaps, because having been expelled by his fellow Jews he could be seen as Christian by default; he certainly could not have been buried in the Jewish cemetery Ouderkerk. But he is not really here, perhaps because he never became a proper Christian, Protestant or Catholic, and in the eyes of many he was an atheist. And how fitting it all is. Spinoza's God was neither Jewish nor Christian. Spinoza's God was everywhere, could not be spoken to, did not respond if prayed to, was very much in every particle of the universe, without beginning and without end. Buried and unburied, Jewish and not. Portugese but not really, Dutch but not quite, Spinoza belonged nowhere and everywhere. But before we attempt to decipher who may have been behind the theft of his corpse (stealing bodies from graves is apparently still in vogue, see this piece of recent news), let us examine Spinoza's connection to Judaism. Despite his attack on the ceremonial laws of Judaism as an instrument of worldly well-being, despite his denigration of Moses and the prophets as men of vivid imagination and feeble intellectual powers, Spinoza remains a recognizably and unmistakably Jewish thinker...Spinoza was, in the first place, the first modern thinker to advocate the restitution of Jewish sovereignty and a Jewish state. ...(in Theologico-Political Treatise) we read the following surprising sentence: "If the foundations of their religion did not effeminate their hearts, I would absolutely believe that some day, given the opportunity, they will set up their state again, and that God will choose them anew, so changeable are human affairs". On the basis of this statement Spinoza has entered the history of Jewish thought as the spiritual ancestor of Zionism and the state of modern Israel. At least this is the way it was read in the last century by Moses Hess and Leon Pinsker and in this century by David ben Gurion. It is on the basis of this passage that Joseph Klausner on the occasion of the 300th anniversary of Spinoza's birth opened his speech at Hebrew University with the call "Baruch Spinoza, you are our brother." "The sign of circumcision is, I think, so important that I could persuade myself that it alone would preserve the nation forever. Nay, I would go so far as to believe that if the foundations of their religion have not emasculated their minds, they may even, if occasion offers, so changeable are human affairs, raise up their empire afresh and that God may a second time elect them." This passage appears in the chapter entitled "Of the Vocation of the Hebrews" which is designed to demolish the entire concept of election (Jews as the "chosen people" j.d. )....he argues that even from the viewpoint of the bible, the election of the Hebrews refers solely to "dominion and physical advantages". This also implies that the election is temporal, not eternal; and while Spinoza as a philosopher recognizes neither, he uses the Bible's own language and authority as a weapon against itself. If the election of the Hebrews is a mere temporal, earthly event, nothing will remain of the idea of eternal transcendent election... All things happen in accordance with the laws of nature- and this is the meaning (and part of the intent) of Spinoza's remark about the return to Zion. Although Spinoza's point is strictly philosophical, it has a particular bearing upon current issues of his time. Spinoza is writing only a few years after the upheaval fomented by Shabbetai Sevi, the false Messiah who unleashed a wave of mystical enthusiasm throughout the Jewish diaspora...the effect was particularly fierce in Amsterdam....In Theologico-Political Treatise, Spinoza says, the renewal of the Jewish kingdom is not inevitable but if the return to Zion should take place, it will be because of the immanent laws of nature and not by providence, divine revelation or messianism. For Spinoza, the Jewish vision of redemption is thus not devoid of sense but the content is entirely historical and secular. This then is the import of Spinoza's Zionist dictum, to which later Zionists clung. They failed to see that Spinoza does not recommend the establishment of a Jewish state; he merely posits it as one of the possibilities offered by secular history. ...still Spinoza clings to several of the deepest motifs in Jewish consciousness-the eternity of Israel, the vision of redemption (understood as political liberation), and the covenant with God as symbolized by circumcision. But true to himself he submits them all to an utterly prosaic, natural and secular interpretation. The logic of Spinoza's analysis seems to favor a quasi-Zionist solution...the Jews must either relinquish all self-rule and disperse as individuals among the gentiles or establish their own political state. This implication may well have attracted Zionists like Ben-Gurion, Nahum Sokolow, and Joseph Klausner. ...was Spinoza then the first secular Jew? What can be said confidently is that Spinoza took the first step in the eventual secularization of Jewish life by examining it empirically as a natural phenomenon...the concept of Jewish national existence, as separate from religion, did not yet exist for him as a defined theoretical concept. Existentially, in his singular life and experience, Spinoza was indeed the harbinger of this idea but he did not articulate it consciously. Jonathan Edelstein wrote an entertaining fictional account about Spinoza's secretary Chacham Saltiel establishing -with the tacit support of his master- a settlement of "rational Jews" in the holy land . Rabbi Chaim Hirschensohn translated parts of Spinoza's Ethics into Hebrew. He wrote a commentary on selected portions of it entitled Sources and Spider Webs. In his writings Hirschensohn vacillates between unrestrained criticisms of Spinoza and almost blind reverence. I won't focus here on his criticisms but rather his remarkable defense of Spinoza against charges of atheism and idolatry. In fact Hirschensohn writes: "The nature of Spinoza's faith in God's unity is clearer and more understood and of purer faith than all those who preceded him in the matter". "No attribute of substance can be truly conceived from which it follows that substance can be divided". This opinion, writes Hirschensohn, "redeems Spinoza and saves him from the idolater's valley of the dead and puts him in the company of the completely righteous who believe in the absolute philosophic unity of God, for his concept of extension is not at all physical extension" . However Hirschensohn explained that Spinoza's error was in substituting primordial matter for the spiritual God. But this was merely an error on Spinoza's part, rather than heresy, which is why he concludes that the Herem against Spinoza was justified. I also wish to advocate for Spinoza that he only erred and is not an idolater, for an idolater is one who considers a creative being as divine, but one who says that God is created is a heretic (apikorus) and not an idolater. Spinoza did not consider the primordial matter divine, he only said that God is physical and has extension, and this is not included in the prohibition of idolatry . Is it possible that members of the Jewish community or perhaps one of his admirers (or maybe even extended family) decided to remove his body from the church and give him a proper Jewish burial somewhere? I would venture to say yes, but we will probably never know for sure (the mysterious disappearance of Spinoza's corpse conjures up the story of another Jewish bachelor whose body mysteriously disappeared from his tomb about 1500 years earlier. Not for naught did Gilles Deleuze refer to Spinoza as "the Christ of philosophers"....., see Ben Atlas's post here). ...I was interested to note on a visit to the newly reopened Jewish Museum in Amsterdam, that without fanfare, Spinoza has been readmitted by his erstwhile community. In a section devoted to "Jewish Identity", the has a text explaining that for many centuries, being Jewish had entailed belonging to the Orthodox Jewish community; but ever since the act of civil equality (1796), granting political emancipation to the Dutch Jews"every Jewish person could decide what expression to give to her or her Jewishness" ....the text is illustrated by an impressive gallery of Jewish characters...at the very end the severe and distinguished face of Rabbi Isaac Aboab, one of the signatories of Spinoza's ban. So finally the banned dissenter and the banning Rabbi end up together in this minor pantheon of Jewish diversity. What better way for the Amsterdam Jewish community to readmit Spinoza, not by a declamatory gesture like lifiting the ban, but by recognizing, with good historical sense, the new situation which Spinoza's own case had anticipated and tragically embodied. DID SPINOZA LEAVE ANY PROGENY? Amadeo Modigliani (1884-1920) was a famous Italian Jewish artist born in Livorno (Leghorn) into a Sephardic family. He was a tragic figure who struggled with drugs and alcohol throughout his life and ended up dying destitute and emaciated in Paris. Modigliano was born into a family of means but his family went bankrupt shortly after his birth. He also, strangely enough, claimed descent from Benedict Spinoza through his mother Eugenia Garsin. All the biographies of Modigliani mention this "fact", which makes it apparent that Modigliani prided himself with his supposed pedigree. There is only one problem with this claim. All the biographical sources regarding Spinoza's life expressly state that Spinoza never married or had any children (although the aforementioned fictional account of Spinoza's life by Edelstein has him marrying and starting a family) . "Modigliani was not a physically strong man," he wrote, "yet one day in a cafe, he attacked all by himself a gang of royalists, who in France are known for their soldierly courage. He wanted to fight them because he heard them speaking against the Jews in a dirty way. Modigliani was naturally conscious of his Jewishness and could not bear any unfair criticism of a whole people ."
. Another "tortured soul" Uriel Acosta (1585-1640) preceded Spinoza and met with a similar fate; he was placed in Cherem by the Sephardic community of Amsterdam for his views against both Judaism and Christianit. Acosta eventually committed suicide out of isolation and humiliation. -the painter was called Hendri(c)k vAn der Spijk. Henryk is a variation that is quite rare in the Netherlands. -This was also by no means the only place Spinoza lived. Spinoza had indeed a rather meager income, but was (financially) supported by a circle of Dutch intellectuals. In his later life, he also rejoiced a modest amount of fame, and even had contact with philosophers outside of the Netherlands; at one point, he was even offered a chair of philosophy at the university of Heidelberg (which he declined).. He was by no means a recluse or so, also in terms of his philosophy; he was heavily influenced f.ex. by Descartes (who also lived in the Netherlands during several years) and was very close to several thinkers of the Remonstrant movement (a very liberal movement within Protestantism, ultimately forbidden by the dominant Calvinist protestant church). After being banned from the Jewish community, he had very little (almost no) contact with the Jewish community, and even while he was part of it, one needs to understand that the influences were manifold, and by no means exclusively Jewish. The Sephardim of Amsterdam were well integrated in Dutch society through trade, and later also frequently through intermarriage. This was a community that was much more than those of Eastern Europe. -closet zionist: I agree that this idea is totally taken out of context and just a historically inaccurate interpretation. -"excommunication": recently, some dutch historians have put forward the idea that Spinoza was not banned because of his ideas but because of financial reasons. After having carefully studied several such cases, the researchers put forward the rather plausible thesis, that he was banned for not submitting to Jewish law with respects to the inheritance of his father. Spinoza's father left nothing but debts to his children; if Spinoza had been adult, he would have to accept the inheritance and pay for the father's debt. Under Jewish law, he was obviously already considered to be an adult; so he registered himself with the municipality of Amsterdam; under Dutch law, he was still a minor and wouldn't have to pay the debt. I think in many academic circles this thesis is gradually gaining acceptance; an important point to consider is also that Spinoza's first publication (1660) was only released four years after his "excommunication" (1656). In fact, no religious disputes, no documents relating to philosophy are known from before 1660. However, there are plenty of documents relating to inheritance matters. This idea was put forward by Odette Vlessing, a historian at the city archives of Amsterdam. The more known historian Jonathan Israel also subscribes to this thesis. -religious status; yeah, Spinoza was not part any longer of any religious community. In the Netherlands, at the time, there were ,however, no "secular" graveyards, and since the dominant, state-imposed religion was the Dutch (Calvinist/Protestant) Reformed Church, it's absolutely logical that he would be buried in a graveyard belonging to that denomination. In fact, Catholics, Lutherans and other dissenters etc were also regularly buried in a (Calvinist-Protestant) graveyard. Obviously, his ties with the Sephardi community had been severed already a long time ago, so he couldn't expect to be buried there. Since, Christian tombs are often emptied after a few years/decades to create "fresh" graves, it's not surprising that his remains are lost. In this way, the remains of many "celebrities" who were temporarily forgotten and whose "fame" was later restored have been lost (e.g. Schiller, Mozart). The idea that his body would have been stolen by relatives or admirers is in my opinion highly unrealistic, since when Spinoza died he had no contact with his relatives. Damasio's writing on this matter is poor scholarship; had he been familiar with Dutch traditions, he would have known why he was buried in a christian graveyard, and that remains are disposed off after a few decades. Thank you Avi for your comments. 1.The theory that Spinoza was excommunicated because he refused to submit to the Halachic ruling of the Beit Din is certainly plausible. I have never heard of this before and I'll have to read up more on it. This brings to mind another famous Western Sephardi who turned against the Jewish community of his city because of a dispute, namely the father of Benjamin Disraeli who converted along with his family to the Anglican Church. 2. Your explanation as to why Spinoza was buried in a Christrian graveyard makes sense, however I was bothered by what Damasio wrote "that his body was stolen, no one known by whom, sometime AFTER THE BURIAL, WHEN THE CORPSE LAY INSIDE THE CURCH". This is confusing on several counts: how could the body be inside the church if he had already been buried? I assumed that Damasio (or the editor) committed an error and meant to write that his body was stolen BEFORE his burial, when the body STILL lay inside the church. "Christian tombs are often emptied after a few years/decades to create "fresh" graves, it's not surprising that his remains are lost". First of all, what is your source for this? Was this custom (of disinterring and dumping corpses) specific to a geographical location or era? it just seems hard for me to believe that the relatives and admirers of the dead would accede to this sort of action. Secondly, in the case of Spinoza, it seems to have been done very shortly after he died. Was something like this common? I should also point out that I have not been able to find any corroborating source for the story of Spinoz'as stolen corpse other than Damasio. I don't know where he got his inormation. I just emailed him. Hopefully he'll respond. I did a quick google search. Odette Vlessing's English article on the topic: "The excommunication of Baruch Spinoza: The birth of a philosopher", published in "Dutch Jewry: its history and secular culture (1500-2000) by R. Salverda. I have been able to read some extracts through google books (in Europe you can only see fragments not entire texts), and it looks very interesting. So far, I have only read some newspaper articles on this thesis, but I'll definitely check out this article in my local library. I am not familiar with the reasons for the Disraelis's conversion. I always presumed that they did so because of pragmatic/financial advantages. I'll have to read more about this. 2. Well, I can't cite a direct scientific source, but since many of my relatives are Dutch and christian, since I have been to their funerals and since I have done a great deal of genealogical research in The Netherlands, I can confidently say that "dumping" the remains of corpses is a very common practice till this day, in almost all traditionally Christian countries actually. Obviously, because of a lack of space, tombs are more likely to be cleared in urban regions than in the country side. The bones are taken out of the individual graves and thrown into a collective tomb. You can rent/buy a tomb for 10, 20, 30, 40 years, and if your relatives won't pay they just clear the grave and resell it. For Jews, this is obviously a rather curious procedure. In the past, some tombs were also located within churches. These were also cleared and resold. •"Joods Nederlands:een cultuurhistorische gids" [Jewish Dutch: a cultural-historical guide] (Jan Stoutenbeek, Paul Vigeveno, 1989, p. 145; they speak of a "huurgraf" (rented tomb), and that the tomb was later "geruimd" (cleared), and that consequently the remains of Spinoza were lost. •"Spinoza" by R. Scruton (1986; in the Dutch translation p. 25): he writes: probably buried in a "huurgraf", the actual tomb was rented out to a new person and the bones of the philosopher were removed from the tomb. On a side note, he writes that the burial ceremony was accompanied by 6 horse carriages and that the event attracted many visitors. •"De uitgelezen Spinoza" (by H. de Dijn, 1999; p.18): the brief biographical introduction speaks of a rented tomb. •In a discussion of several short pieces on Spinoza's biography in the genealogical/historical magazine "de Navorscher" (1853, p.380) another nice detail is mentioned: after the burial ceremony, the visitors were invited to drink wine in the house of the deceased Spinoza. •an article "Nog iets over de grafplaatsen van de Witten en Spinoza in de Nieuwe Kerk" [Something on the tombs of the De Witt Brothers and Spinoza in the New Church] by M.G. Wildeman [a great authority on local history and genealogy], published in "Haagsch Jaarboek" [the Hague yearbook] 1893 pp. 117-121. The author looked at the burial/tomb register of the church. 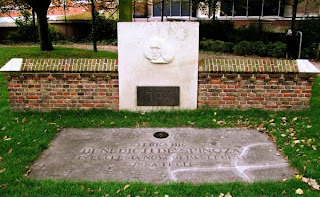 Spinoza was buried in tomb nr. 162 of the Nieuwe Kerk; this tomb was in 1738 part of a series of tombs (nr. 160-162; presumably owned by a family who wanted to be buried next to each other. In 1738 this set of tombs (nr.160-162) was "geruimd" (cleared). This means that Spinoza's tomb was cleared at some point before 1738, so that it became part of this specific set of tombs (nr.160-162) which was cleared in 1738. Wildeman also speaks of a "rented tomb". •"Spinoza: een leven volgens de rede" [Spinoza: a life according to reason] (Jabic Veenbaas, 2000,p. 418); this author is very specific, he says that Spinoza's tomb (nr.162) was cleared 12 years after his death (1677+12=1689), and that his remains were brought/reburied in an unknown place in the graveyard of the church [the type of collective grave i was speaking about]. The author is citing an older burial/tomb register than Wildeman, and he also speaks of a rented tomb. •Finally, I found an even more precise description about tomb nr. 162 in "Spinoza en zijn kring: historisch-kritische studiën over Hollandsche vrijgeesten" [Spinoza and his circle: historical-critical studies on Dutch free minds" (1896, by K.O. Meinsma, p. 435-436). after a description of the burial ceremony, the author traces the history of tomb nr. 162 with the help of the burial/tomb register: on 20 february , a nameless woman was put to rest in tomb 162 , on 25 february  a woman named "Meryge van Tessel", the child/daughter of Louris Leman and Spinoza were buried in this tomb; at a later date 3 additional bodies were buried in 162. Also, there was no tombstone for Spinoza. The monument at the Nieuwe kerk that is nowadays presented as a "tombstone" was created many decades after Spinoza's tomb was cleared. •Spinoza was buried in a tomb with 6 other bodies. •Spinoza was buried in a rented tomb, and after nobody paid the rent, it was cleared in 1689 and his remains were thrown into an anonymous/collective tomb. The remains were not stolen. •There was no tombstone; what is presented as a tombstone nowadays is a monument erected at a much later date. It's not that odd that Spinoza's remains are lost; because of the earlier described burial practices. F.ex. nobody knows the exact location of Rembrandt's tomb either, who -just like Spinoza- also died in poverty. Also, in the immediate decades after his death, the term 'spinozism' had a very bad connotation. In certain orthodox-Calvinist circles it was used actually as an insult. So I guess there was neither money nor interest to pay for and design a proper tomb with a tombstone. teachings were also buried here, their stench would cause no pestilence of the soul anymore. because you deny Him, for whom the Devils tremble. Who is as angry as you? I say I don't know. I guess Damasio either had no knowledge of these sources, or he tried to romanticize the events; after all the procedure of simply clearing a tomb because nobody was interested in creating a proper tomb with a tombstone doesn't seem like a worthy end for a great thinker like Spinoza. Hope that wasn't too chaotic; may be you can use some of it in a follow-up post. Avi, I am indebted to you for this treasure trove of information! By the way, did you come across any information on Modigliani's claim of descent from Spinoza? Modigliani was not a descendant of Spinoza, because the philosopher didn't have any children. From what I have read the only woman he had a romantic interest in was a lady name Clara Maria van den Enden, the daughter of his teacher Franciscus van den Enden (1602-1671). He allegedly asked her to marry him, but she eventually married a richer student of her father, Theodor Kerckerinck. This story was first written down by the biographer Egmont Colerus (1888-1939), and there is no evidence (love letters or so) that this relationship actually existed; Colerus cited some circumstantial evidence. There has also been speculation that Spinoza was a closeted homosexual; although, nowadays make such claims are often made about unmarried people. There is also a theory that his libido was severely affected by his tubercolosis (the disease that would eventually lead to his death). In "Amedeo Modigliani, 1884-1920: itinéraire anecdotique entre France et Italie", by Christian Parisot (p.11), the author writes that Modigliani was very fond of telling people about his alleged ancestor Spinoza, and that he used this as a way of justifying his own liberal, critical agenda, albeit that one was distinctly different from that his of alleged forebear; Modigliani was very "liberal" in his relationships with women. Modigliani based his claim on the following. His mother was Eugenia Garsin. Her great-great-grandfather Solomon Garsin, born in Tunis, married a lady named Regina Spinoza. The author notes that she couldn't have been a descendant of Spinoza himself, but argues that it could well be that Regina Spinoza and the hilosopher have a distant common ancestor in Spain. Obviously, the author of this book merely bases this claim on the fact that they share the same surname and didn't further research the question. Spinoza, d'Espinosa, Despinoza, Spinosa etc are common surnames on the Iberian Peninsula, and even within the same geographic region similar (Sephardic) names are not necessarily indicative of common ancestry. F.ex. you have in the Netherlands, a politican and a journalist, both of Sephardi origin and both carrying the surname d'Ancona, and yet they are totally unrelated. With more common names, like Lopez, Mendes, da Costa, Teixeira, relationships are even more difficult to assess. On the internet you find list of "sephardic surnames", but this term seems to somewhat non-nonsensical, given that these names were carried by Jews and and non-Jews alike, and by many different, non-related families. This is also true of course, for Ashkenazim. you have Jewish Rothschilds in Frankfurt that are unrelated to the famous banking house. However: In the book "La communauté juive de Livourne: le dernier des Livournais : essai [The Jewish community of Livorno; the last ones from Livorno; essay] (Lionel Lévy, 1996) p.150, the author discusses his relationship with other Jewish families in Livorno (where Modigliani was born), and discusses various Spinoza families from that city. The Livorno families had strong ties with those in Tunis. On this website: http://www.sephardicgen.com/levyseba.htm#f36 , that very same Lionel Lévy discusses various families, and is speaking about his Spinoza ancestors (from Livorno and Tunis), and he then writes: "Their mother Ordueña Espinoza was descended from Abraham, the great-uncle of Baruch." So, I don't know the exact relationship between the philosopher and Modigliani; it's, however, very likely that they were indeed related, but merely distant cousins, with a common ancestor who lived presumably somewhere in the first half of the 16th century or so. Thank you once again Avi for your effort! Also, Would you happen to know what became of Modigliani's only daughter Jean? I came across some vague information that has her marrying a Jewish Frenchman named Victor Leduc. This article in Haaretz http://www.haaretz.co.il/hasite/spages/945024.html mentions a daughters of hers named Lour (I'm not sure about the spelling). Any information would be appreciated. the name is spelled Laure. from a quick google search i gather that there is a granddaughter called Laure Nechtstein. She is the daughter I presume of the communist resistance fighter and ideologue Victor Leduc (alias Valdemar Nechtstein, Berlin 1911-1993 Paris)) and Jeanne, the daughter of the painter. Leduc came from a family of Russian-Jewish communists. The Modiglianis are named after some town in Italy, if i remember correctly. There was also a well-known economist called Franco Modigliani. Thanks for the link to the blog about the Romaniote community; interesting. Contrary to their North-American namesakes, the Dutch d'Aconas are not very religious; the journalist is openly gay, the politician is a socialist and a fanatic feminist. In Tablet, a New Read on Jewish Life (http://www.tabletmag.com), Adam Kirsch reviews a new biography of Amedeo Modigliani by Meryle Secrest. (Modigliani: A Life, Knopf, $35). Modgliani was born in the Jewish community of Livorno, an early refuge for Marranos fleeing the Portuguese Inquisition (1536-1821). It is often claimed that Modigliani's mother was a descendant of Baruch Spinoza (Bento de Espinhosa), himself a descendant of Portuguese Marranos. 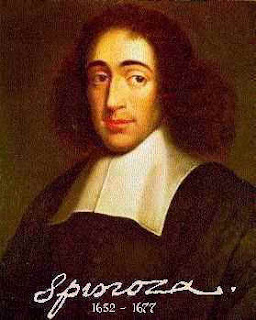 Spinoza, one of the most important philosophers of all time, although born in Amsterdam (of Portuguese parents) wrote and spoke Portuguese, as well as Hebrew. Kirsch casts doubt on Modigliani's connection to Spinoza. He refers to Modigliani's mother's side as the "Garsins". Professor António Borges Coelho in "Inquisiçaõ de Évora" (The Inquisition of Evora), Caminho, Lisboa, 1987, Vol. 1, traces Spinoza's ancestors. His maternal side includes names such as Ana Garcês, Henrique Garcês (buried in Amsterdam in 1619), and Maria Nunes Garcês, from northern Portugal (Ponte de Lima and Porto), Antwerp, and Amsterdam. Maria Nunes Garcês was a daughter of Duarte Fernandes, native of Ponte de Lima, Porto merchant, and one of the founders of the Portuguese Jewish community in Amsterdam in 1598. In 1593 Livorno or Leghorn, Modigliani's birthplace, was an unimportant fishing village until the Marrano diaspora transformed it into one of the wealthiest Jewish communities of Europe. By 1644 they numbered close to 100 families, mostly former Marranos from Portugal. Two centuries later it had it had 7,000 Jews, mostly Sephardic descendants from the Iberian peninsula. Until 1821, regulations of the Society for Dower-Brides were issued in Portuguese. Cecil Roth in “A History of the Marranos”, describes how the Portuguese Jews monopolized the coral trade. Their ships traded in every port of Europe. Unlike Amsterdam, this important and prosperous Sephardic community has not yet attracted much academic interest. 1. Is is incorrect to view Spinoza as having attributed physical matter to God's essence, as anyone who has studied Spinoza with a subtle mind knows. 2. I doubt that the jewish elders gave Spinoza a simple-minded fundamentalist Inquisition-style third-degree on his philosophy and then decided to ban him. On the contrary, Spinoza would have been able to satisfy the Jewish community that none of his views subtract from G-d's perfection. 3. Don't forget that Spinoza was well-known from childhood within the Jewish community and was thus no stranger but a man respected for his civility and compassionate good nature as well as his intellectual brilliance. He must have been considered a good man, a seeker of G-d and a righteous upright person, in short, a real Jew and valued community member. 4. On the issue of a non-personal God, remember that Maimonides quashed all anthropomorphic notions of God. Moreover, although his Aristotelianism was not appreciated by all he was yet not banned. To justify excommunication, if you say we should speak of the intellectual love of Nature instead of God according to Spinoza, it seems you are thinking of Nature along the lines of a 'nature walk' rather than in Spinozistic terms, which are more along the lines of the psalmist who looks at Nature's heavens and wonders at G-d's infinity. 5. The Jewish unlike the Christian tradition is not big on exiling or killing a person based on his views. 6. Hence, it is more likely that Spinoza was ostracized because the Jewish community feared renewed persecution by Christians viewing Spinoza as a jewish spokesman. By excommunicating their philosophical son, the Jewish community wished to formally represent that Spinoza was not their spokesman, in order to be be safe from yet another round of Christian persecution.